Collection 999 Stylish decorative rare Hindi Fonts with preview for free download. 999 Stylish decorative rare Hindi Fonts with preview for free download. Now no more adjustment with boring and outdated fonts mangal. Get the most beautiful and stylish fonts at a single place. A huge collection of unique Hindi fonts with their preview. 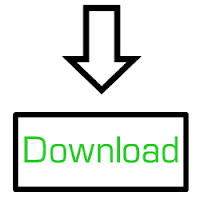 Free download in just a single click. Large number of Hindi fonts for your website and presentation. 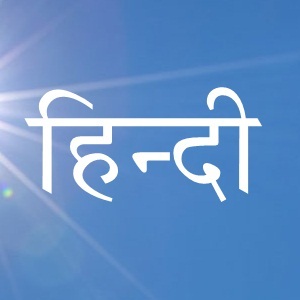 Make your Hindi headings much smarter and attractive. Choose the most appropriate and beautiful fonts for your task from this collection. Sometimes we notice that some font are used again and again but fine fonts are still kept in side. Overuse of fonts decrease level of interest in that matter. Keeping your font decoration up to date for your online data and print works is a good idea. In case of Hindi common users are not able to get these stunning Hindi font quickly. These font categories can help them to get desired font instantly. So I have classified all font in various categories according to their look and and design. Every font is placed in it's best fit category so that it can be found easily. Dividing fonts in such categories is a better idea because its quite time taking to find needed font in such a huge collection. Every font is given with their preview pictures in readable size. For stylish and trendy Hindi print these 30 fonts are the best choice. Each fonts has energetic look. Fonts can be used as decorative look purpose. Use these fonts for giving your cards and gifts a nice look. For special occasions and festivals stylish looking fonts give true effect. In Modern time due to high resolution gadgets and larger displays Minimal fonts are in trend. So when you surf websites like Google, Microsoft, Apple etc it obvious to face minimal fonts in their site. Clean fonts doesn't have extra decoration or accessories in their design. So if you want cool and modern look for your website of print work choosing fonts from this category is a good idea. Minimal fonts looks excellent in high resolution displays which are common now days. This is a collection of my favourite Hindi font of all. About total 33 fonts are in it. Cool and elegant fonts are included in category. Get the list of all fonts on the following link. For office and professional users this is a really good collection of Hindi fonts. The best 10 Hindi fonts are sorted in this list get the best of these from the link. For presentation work and official documents these fonts can give professional look. This is the latest collection of my countdown list of fonts. I've include such fonts in this list which reflects handwriting style look in their design. There are some fonts which are fabulous but very less used. You can create quotes or any other creative works through these fonts. For rough and though look we have to need such font by which we can hard look reflects. Some sharp edged glyphs fonts are included in this category. If you need font just opposite of soft fonts you should check this out. Word like Army will give it's best effect while using these fonts. For free hand and innovative fonts choosing this collection is a good option. For brush effect we have included some fresh fonts in it. For naming paintings and other creative work we can use any one of these fonts. Breaking the patterns for sometimes is good for appearance and design. For calligraphic work one these is good choice. Heading is an abstract of any matter or paragraph so it should always clear and easy readable. In Hindi there are some quite good fonts that can be used font heading purposes. Mostly these fonts are little bold and decorative that other fonts. Minimal fonts are good but using bold and decorative fonts for a few words is also not bad for design and appearance. Using these fonts for small group of words will give it's best. Only Devanagari unicode fonts are used for creating Hindi websites. But the mostly websites uses the default mangal font for there content. What if most website of a particular language use a single font for there headings, content, tabs, comments and everything else. Recently google added a awesome Hindi font collection in their web fonts collection for Devanagari users. You can link your website from those fonts to make website different. I have already collected 10 unicode fonts which can be used in offline work like makeover of your browser by changing its default Devanagari font. Online website text supports only Unicode fonts. If still your desired fonts are not found in uppers collections then this huge collection will surely complete your demand. Because this font collection contains the frequently downloaded Hindi fonts. These fonts are the collection used in daily life of a Devanagari user. cool collection bro may i get the latest fonts and corner art on rohanmittal3@gmail.com i will be very thankful to you and your collection is marvelous love it you are really working hard!!!!!!!! Thanks for your appreciation, I have mailed you the information you wanted. Fonts' collections are updated regularly. So stay updated for our new fonts by joining our email subscription list. Hy! admin, Can you plz upload AkrutiDevYogini font. Pehle category select karo tab dikhegi. kruti dev 040 में Type किया later मोबाइल पर unicode english के अलग ही laters में दिखाई देता हैं उस later को kruti dev 040 के format में mobile में save कर उसे mobile पर ही pdf file में convert करने के लिए क्या करे ? I want new fonts.I think these fonts are good for me to use in my work.